Home/How Smart Does Your Home Need To Be? Today’s smart home automation innovations allow you to connect, monitor and control multiple systems and appliances from wherever you are, with a smartphone, tablet device or computer. If you’re unsure that you want or need to add smart home devices, we have a few ideas that you might want to try, just to get started. This is a great place to “dip your toe in the water” of smart home innovations. Touchless faucets and no-touch toilets that flush with a wave of your hand are great conveniences. Kohler has introduced an advanced showering system that lets you pre-program water temperatures. For an at-home spa experience, you can control water, sound, steam and lighting elements. 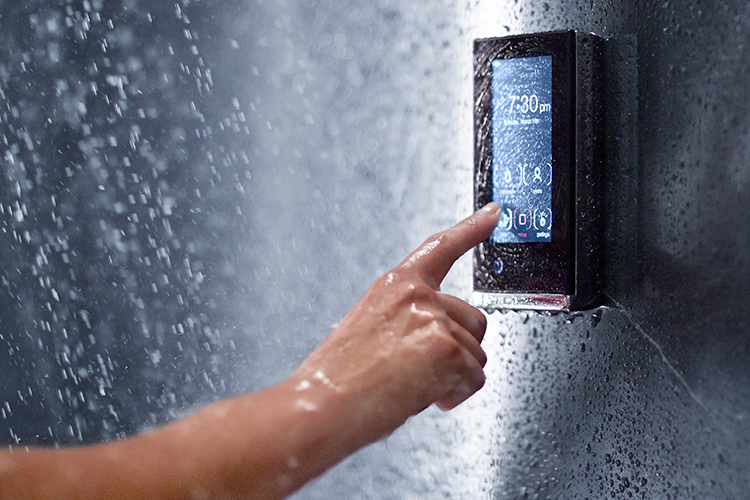 A touch-screen interface allows each user to customize settings for their preferred showering experience. Kwikset offers smart locks that secure your home not only with traditional metal keys, but auto-style fobs and smartphone apps. Encrypted controls let you buzz-in your guests when they show up early or keep track of when teenagers come and go. Whether you’re at home or away, video doorbells such as Ring or Nest Hello let you see who’s at your front door and even talk to them without opening the door. You can get alerts to your smartphone when packages are delivered, and even record suspicious activity, day or night, around your entryway. Programmable thermostats that automatically adjust the temperature setting at certain times of the day are great for comfort and energy efficiency. What’s even better is a device like the Nest Learning Thermostat. Every time you adjust the temperature, you’re teaching it your preferences and schedule. Before you know it, it’s programmed itself to maintain your comfort. An Auto-Away mode for energy efficiency kicks in when it detects no one is home. The Nest Protect smoke and carbon monoxide alarm units have simple green/yellow/red status lights and send low-battery alerts to your phone (so there’s no low-battery chirping in the middle of the night). Plus, if you burn your toast, you’ll get a simple “Heads-Up” alert instead of an ear-piercing alarm blast. Lots of people already have a smart home: they’ve gotten used to asking Amazon’s Alexa to play music or give them the latest news headlines. 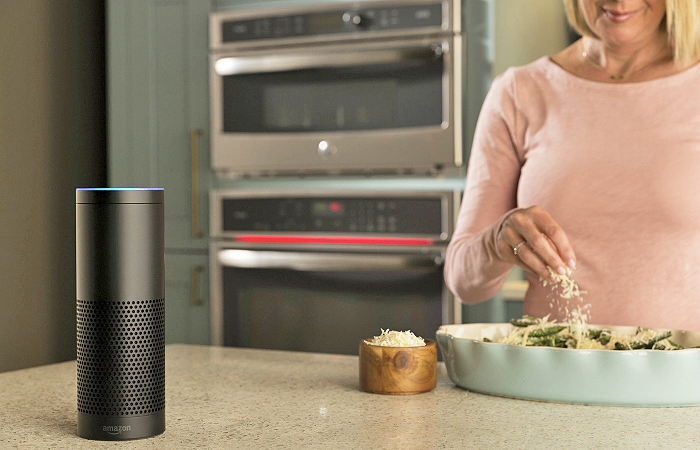 But did you know that many appliance manufacturers have added Amazon Alexa connectivity to a broad range of products, including refrigerators, dishwashers, wall ovens, ranges, washers, dryers and more? With voice-activated controls, you can preheat the oven or check on the internal temperature of a roast while it’s cooking. You can use voice commands with a smart refrigerator to find recipes, start a shopping list, or use Amazon Dash to reorder supplies. What are you ready to try? An ever-growing number of other household devices can be controlled right from your smartphone. If you’re ready to go all in, integrated automation is available for monitoring and controlling devices from different manufacturers with a single system: interior and exterior lights, thermostat, garage door, window shades, security cameras, pet door and water heater. 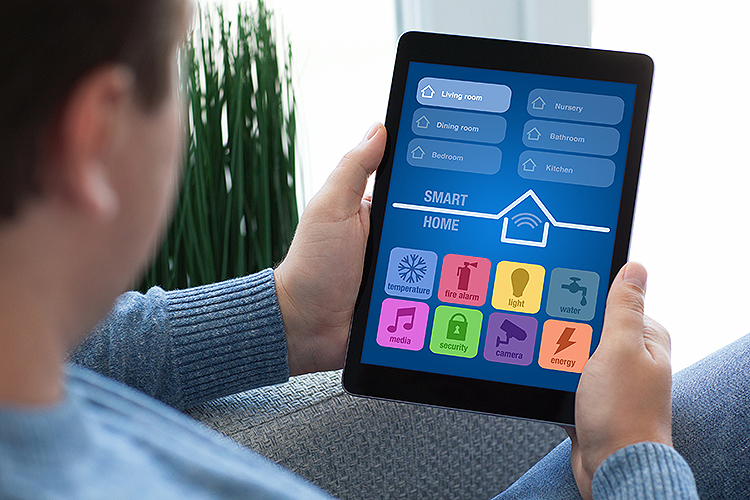 It’s a great time to consider integrating whatever level of smart home automation will suit your lifestyle – even if it’s only trying 1 or 2 new things. It will make your life easier! For more inspiration, sign up for our free monthly e-newsletter and receive our “5 Tips For a Successful Home Remodel” how-to guide today.